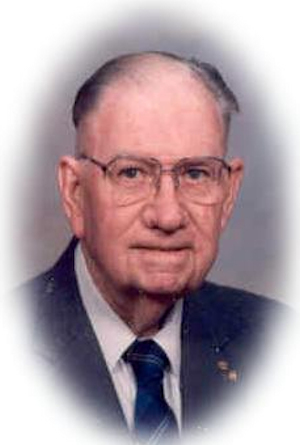 Obituary – Smith, Brace Watts « Perry High School Alumni Association, Inc.
Brace Watts Smith, 94, Oklahoma City, Oklahoma, formerly of Perry, was the son of Josiah and Jessie (Watts) Smith. He was born on May 29, 1909 in Perry, Oklahoma and died Friday, June 6, 2003 at Bellview Nursing Center in Oklahoma City, Oklahoma. Brace was a World War II veteran serving as an Aviation Chief Radio Technician. He was a life member of the Perry Masonic Lodge and was also a Yorkright Mason. Brace was a member of the Ellis-Jirous VFW Post #53 and an avid photographer and rock hound. He was a member of the First Christian Church in Perry where he served as an Elder and Trustee. Brace was married to Vesta Springer who preceded him in death in 1987. Funeral services will be 2:00 p.m. Wednesday, June 11, 2003 at the First Christian Church of Perry with the Rev. Martin Foster officiating. Interment will follow at Grace Hill Cemetery. Services are under the direction of Brown-Dugger Funeral Home. Memorials may be made to the First Christian Church of Perry, Masonic Charity Foundation, Oklahoma Medical Research Foundation or Salvation Army. All memorials may be given in care of Brown-Dugger Funeral Home. 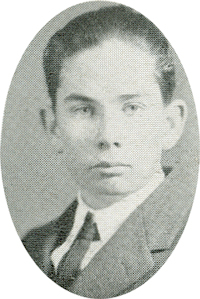 Brace is survived by two brothers, Forest Smith and Argus Smith and his wife Lucille, both of Oklahoma City, Oklahoma; one niece, Patsy Siegismund of Seattle, Washington; three nephews, Howard Smith of Park Hill, Oklahoma, Greg Smith and his wife Gayla, of Oklahoma City, Oklahoma and Stephen Smith and his wife Wendy, of Corpus Christi, Texas and two great nieces, Jessica Smith of Oklahoma City, Oklahoma and Cassie Hamilton of Tulsa, Oklahoma. He was preceded in death by his wife, Vesta, parents, Josiah and Jessie Smith and sister, Carol Ealy.